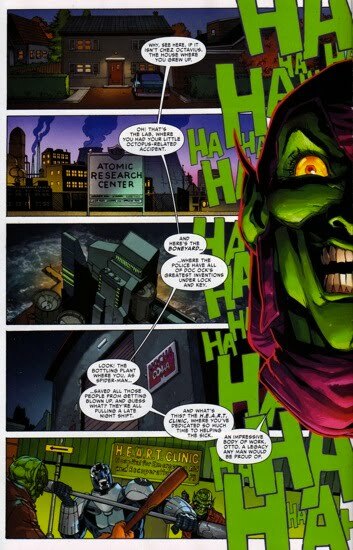 'The murderous Green Goblin'...This description of Norman Osborn's alter ego is certainly a commonly used phrase when discussing the Goblin. 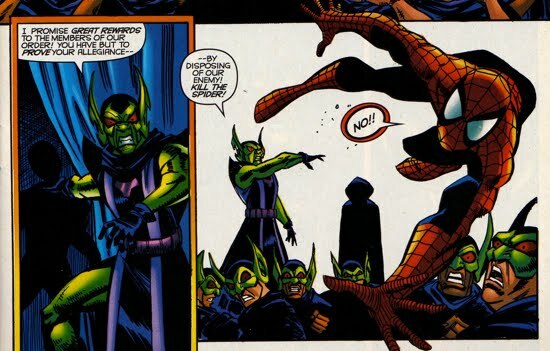 So, just how well has The Green Goblin earned that reputation? 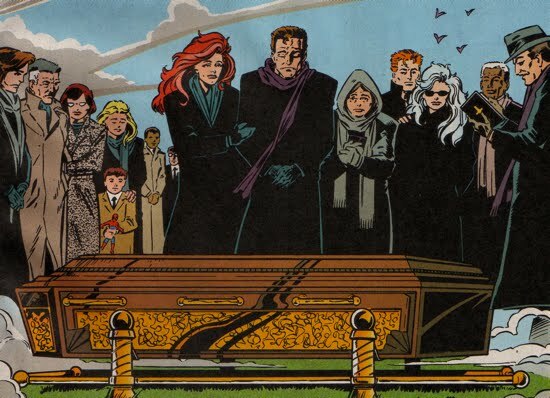 The following list is an ongoing (ever-growing) roster of those who have perished at the hands of Norman Osborn/The Green Goblin. 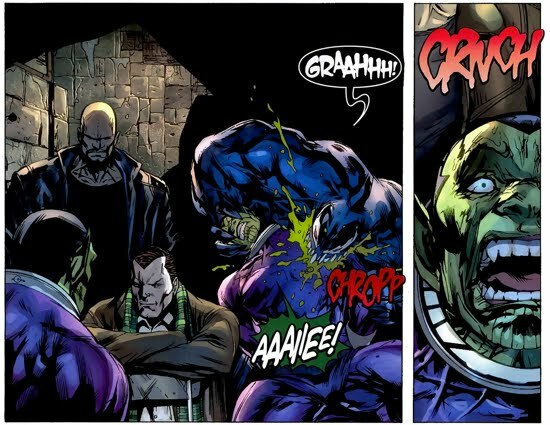 Victims collected within the Norman Osborn/The Green Goblin Kill List were placed in chronological order of their death during Norman's life. 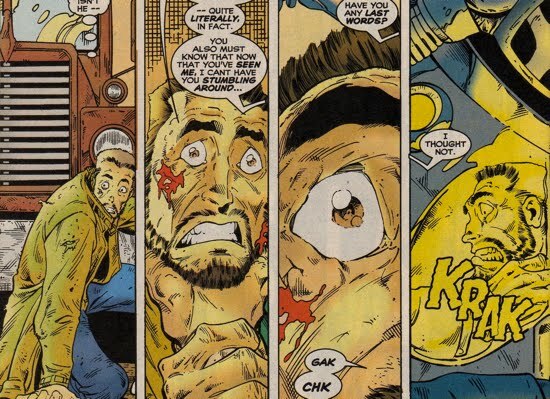 Some entries contain multiple panels and segues between them explain the story of the individual kills. The entries have also been compiled into the following youtube video, the five minute clip contains highlights from the entire list of victims. Additional Comments: Norman's first-known kill, undoubtedly help send him down a dark path. Additional Comments: Once Norman realized that the world believed him to be dead, he went into hiding in Europe. But before doing so, he needed to place a substitute body in his casket. Enter: the random (and unlucky!) homeless drifter. Additional Comments: It is difficult to get an exact number of Scrier members which Norman killed on his rise to the top of the ranks. 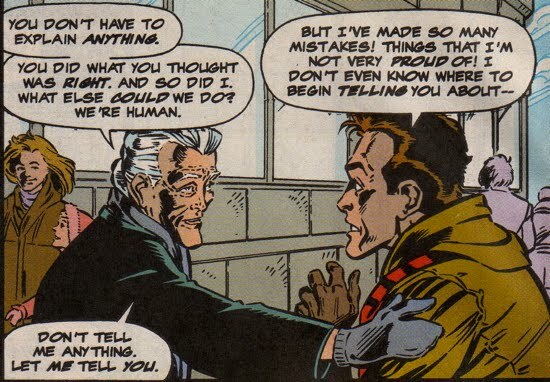 Additional Comments: Whilst in exile in Europe, Osborn and Otto Octavius met and formed a brief bond of friendship. 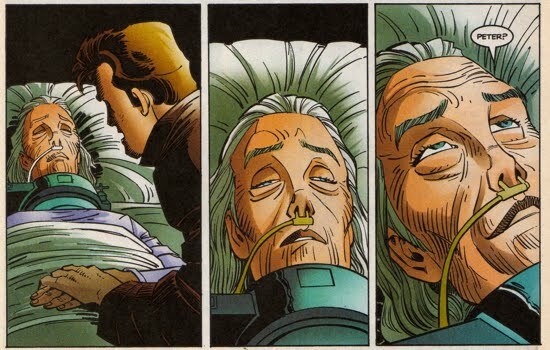 That ended when Norman informed Otto that he found his old flame, ran her off the road, then took her to a hospital where he injected her with a deadly virus. 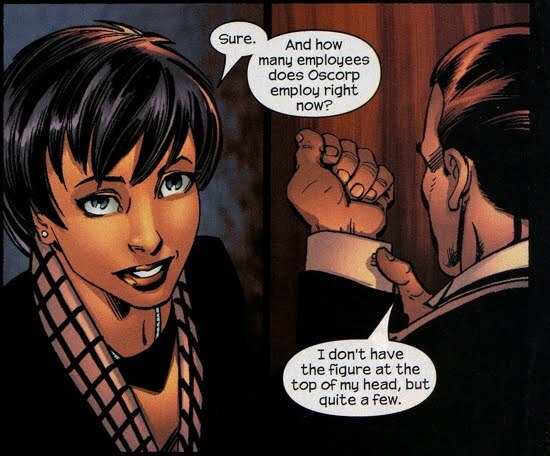 The presumption is that Osborn injected her with the AIDS virus.
) the report mentions her husband died in the car crash as well. 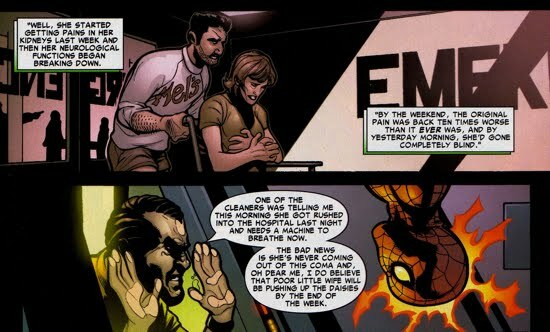 Additional Comments: The actress who agreed to 'play' Peter's Aunt May did not know it would be her final role (to quote Norman). 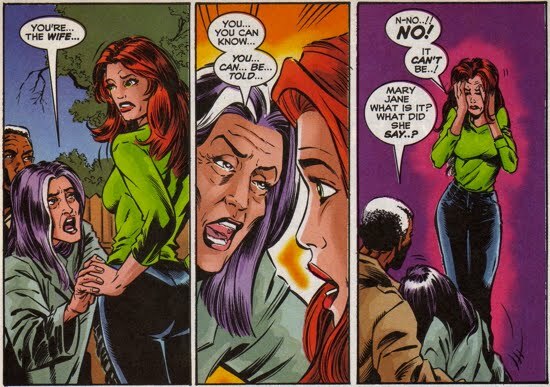 The 'real' Aunt May was eventually found live and well. Additional Comments: Part of cleaning up his Clone plot against Peter, Norman had to kill Seward. Additional Comments: This one deserves a few panels. 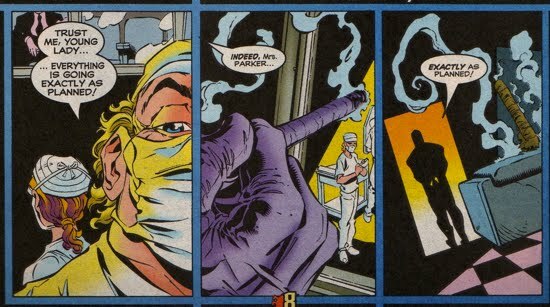 Norman used his henchwoman Alison Mongrain to poison MJ and induce her (severe and complicated) labor. 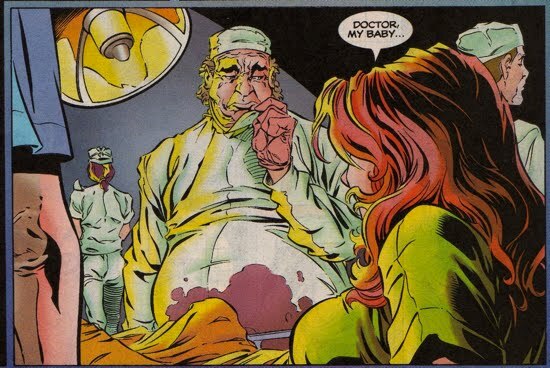 Then she smuggled the baby off in a cart, whilst Dr. Folsome lied to MJ. 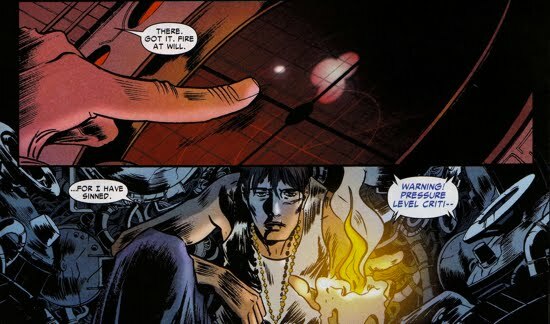 All the while, Norman watched as his plot against Peter and MJ unfolded. and then reported directly to Norman. He then sent her into hiding in Europe along with her 'delivery'. 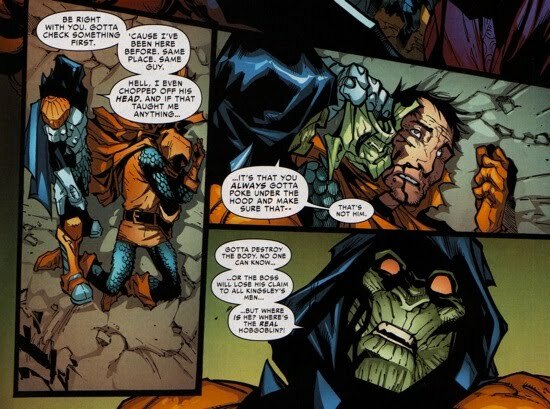 Additional Comments: This one is more of a self sacrifice on Ben's part, but Norman had pummeled the clone for awhile just prior to this and I'm sure Norman didn't mind Ben throwing himself in front of his Goblin Glider. Additional Comments: Technically there's no reason why Norman had to kill these two, he could have just secretly left the wreckage without them even realizing he was there. 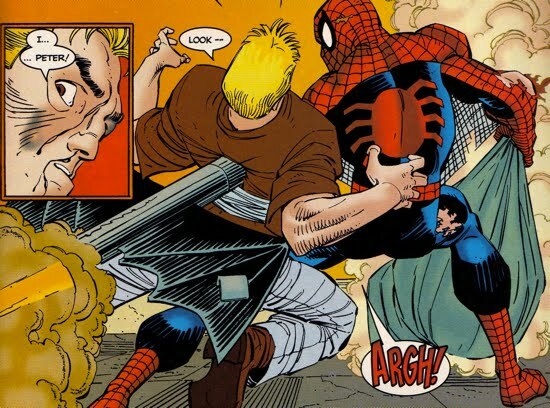 He was probably just disappointed that his plan against Peter didn't work perfectly. 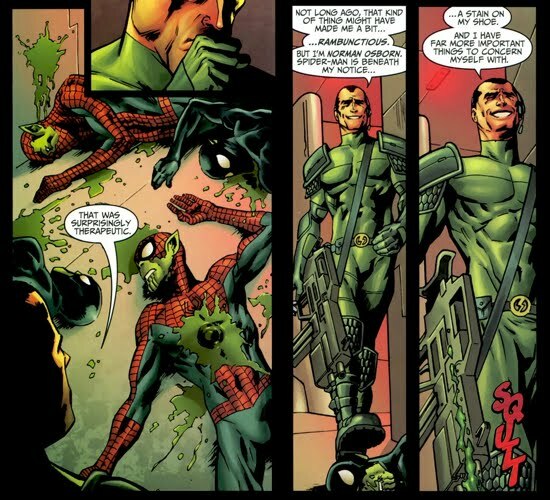 Additional Comments: Norman Osborn hired/used the Trapster to kill Joey Z as part of a plot to frame Spider-Man for murder and tarnish his heroic reputation. The Trapster eventually confessed to the killing. 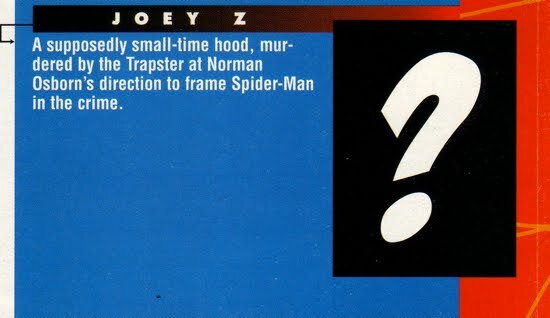 This brief bio about Joey Z from Peter Parker Spider-Man #94 confirms Norman's involvement. Additional Comments: This one is from the Goblin Moon novel (Busiek & Archer), which is summarized here. Charenton was the NYC Public Advocate, Osborn had him killed so that he could assume the role and be next in line to become mayor of NYC. Most likely he used the Rat Pack to kill him, but we cannot rule out the possibility that he did the deed himself. 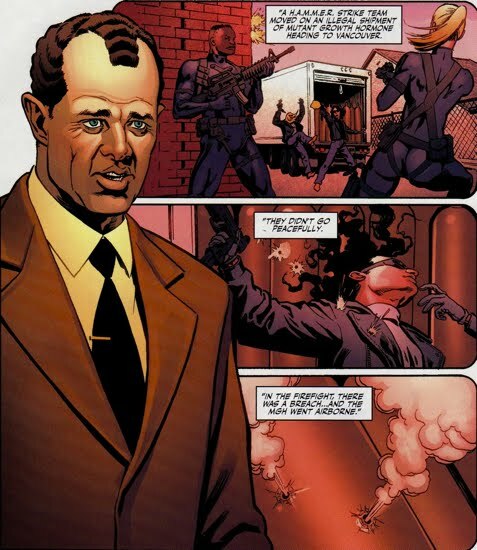 Additional Comments: During Norman's infamous plot to reduce the world to its 'basic [DNA] components', he displayed his capability to do so twice. The led to two separate groups of people being killed whilst melted into a pile of DNA. Were these deaths real or part of Norman's delusion? We may never know. Also, it should be noted that Norman claimed this didn't kill anyone, simply reduced them to genetic goop. I don't buy it. Additional Comments: What goes around comes around, I guess. Norman tried to kill her twice, the first time was the classic cash-briefcase-bomb trick. Alison washed up on shore and somehow survived the attack. 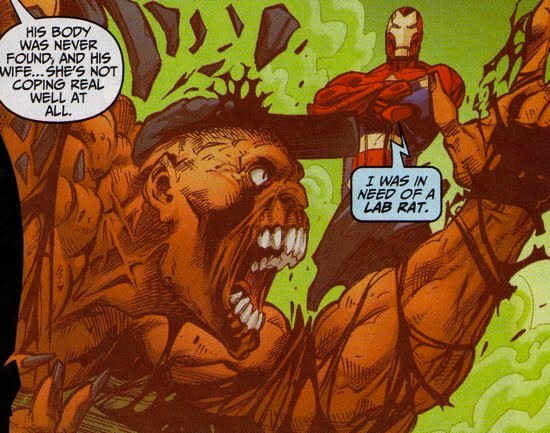 Norman then implanted a chip in Molten Man's head and brainwashed him to attack Mongrain. 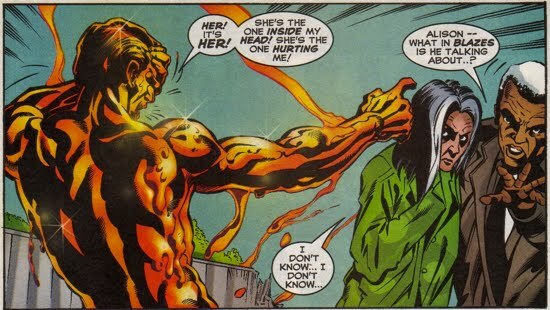 Mongrain wore an amulet given to her by Osborn, that amulet ended up functioning as a tracking device for the Molten Man. Take home point, never accept a gift from Osborn. 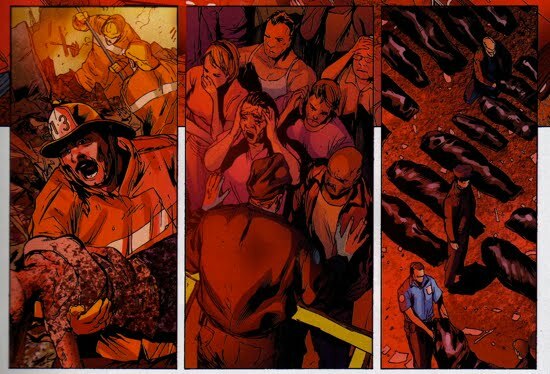 A brick from an explosion created by Molten Man hit Mongrain and led to an terminal injury, but she died only after informing MJ about the fate of...Aunt May? Additional Comments: Once again an exact number is not known, looks to be at least 4 guys. 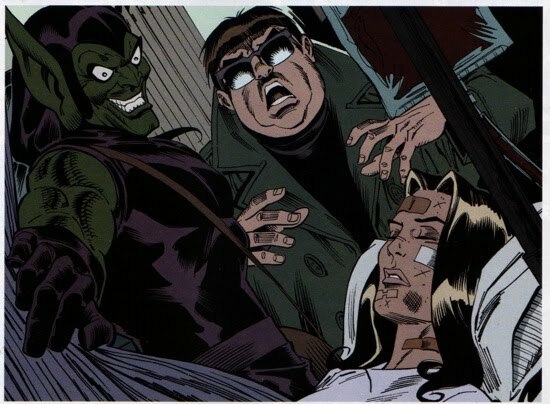 These guys were fortune enough to not only dress Norman up as The Green Goblin but also to be killed by him! Additional Comments: Although technically a 'direct' kill, this one can also be qualified as an unintentional kill. This woman, Rocky's mother, was killed whilst saving two other innocent bystanders from a stray pumpkin bomb. 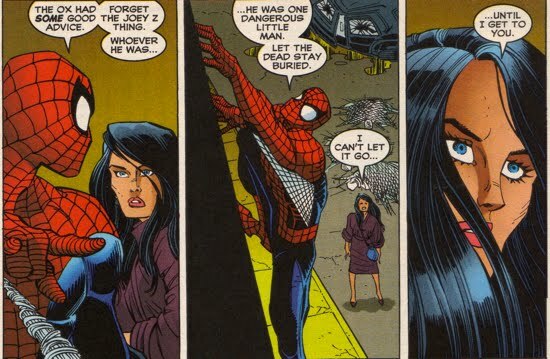 Technically, Spidey could share in some blame here as well. 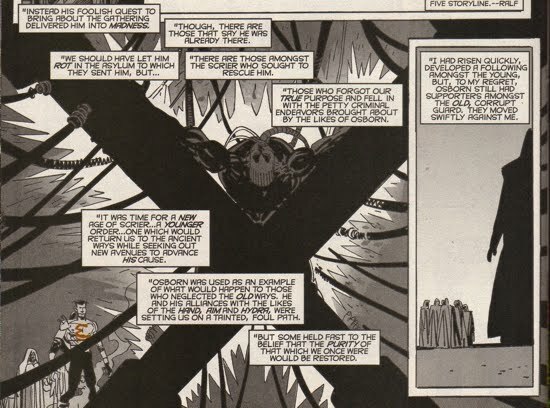 Additional Comments: The asylum staffers were killed by a group of loyal Scriers (which included Donald Menken) to prevent them from exposing Norman's alter ego. Additional Comments: This one is not a concrete kill for Norman, but the scene was left ambiguous. 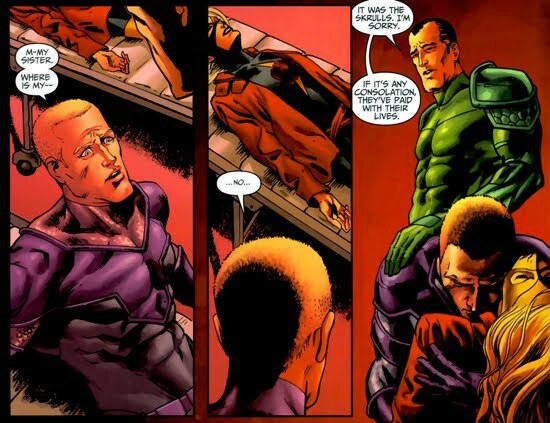 As shown in the second panel, Norman would have a huge motive to kill DeRoma since the latter led an insurrection to oust Norman. Not to mention he kidnapped Norman's Grandson Normie as well. 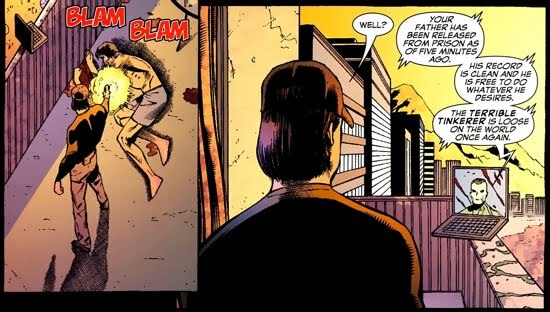 I think we'll keep this as an Osborn kill. 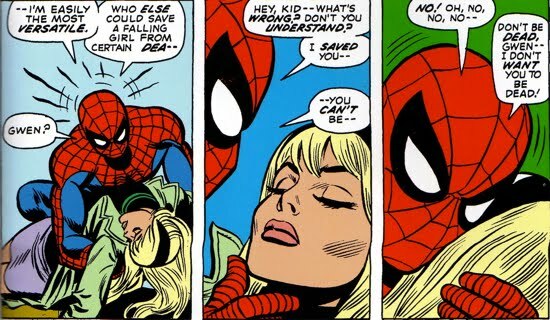 Additional Comments: This one is similar to the Gwen Stacy kill since he technically doesn't do the actual killing but is still directly involved. 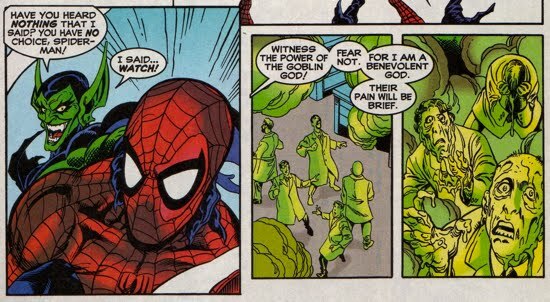 Bendix was killed after Norman dressed him as Spider-Man and tossed him at The Order of the Goblin followers...who finished the job. 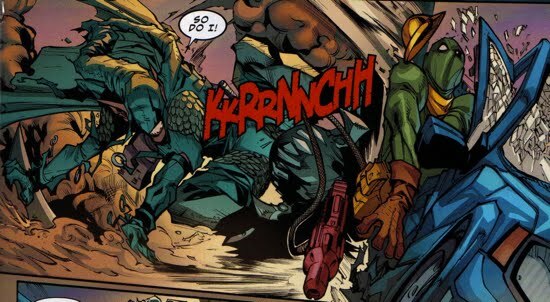 Additional Comments: The Green Goblin force-fed Flash Thompson whiskey and put him behind the wheel of a big-rig, which he crashed into Peter's school. The only casualty, the classroom's pet hamster. But Norman's a nice guy as illustrated in the second panel below, he offered to buy a new Hamster! Additional Comments: The investigative reporter that got a little too close to Norman. 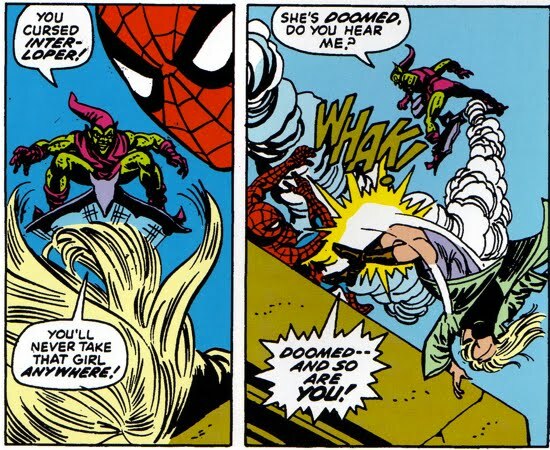 Her death eventually led to Osborn being outted as The Green Goblin. 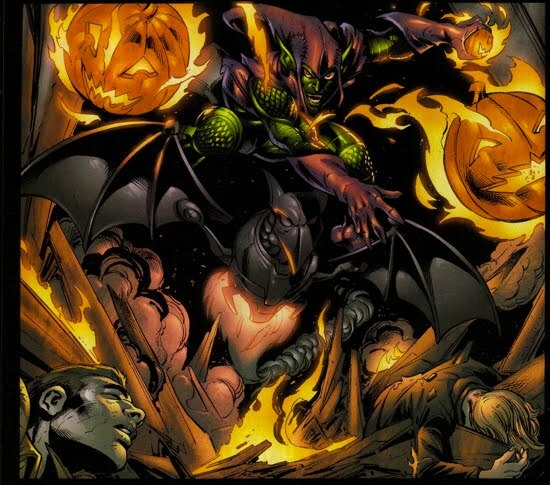 Additional Comments: When Ben Urich and the police arrived at the Oscorp executive offices to confront Norman Osborn, they were greeted by The Green Goblin and some pumpkin bombs. 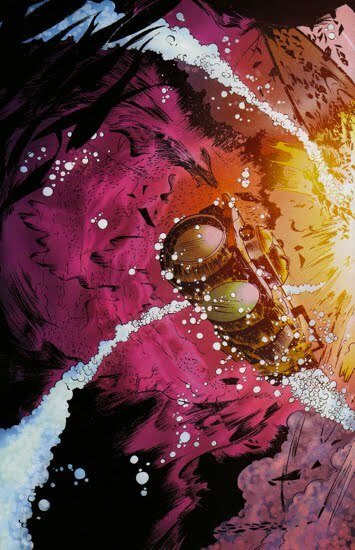 It looks like a few people were killed when this occurred, the two sets of panels below contain what appears to be dead bodies lying within the wreckage. Once again an exact number of deaths is unknown. 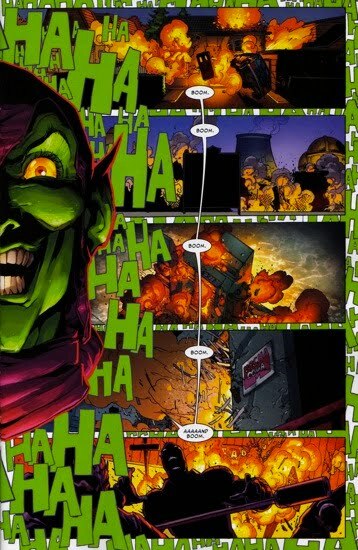 Additional Comments: This is one of Osborn's more sadistic exploits, a kill for the sheer fun of it. 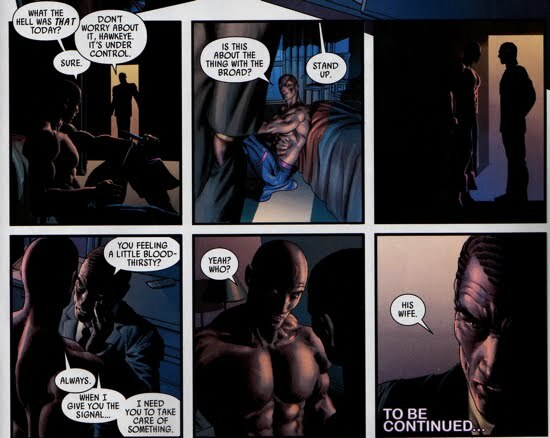 The panels below tell the story of how a security guard went to Osborn for help...but that's not what he got. 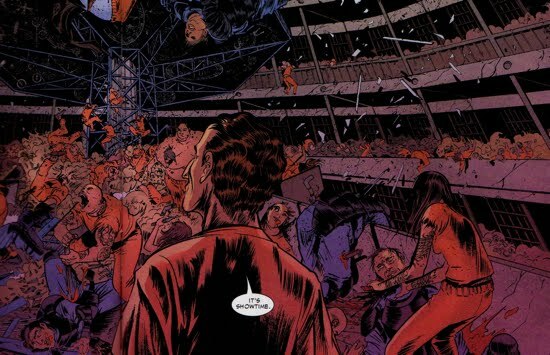 Additional Comments: Norman's slaughtered countless Atlanteans during three major events. 2. 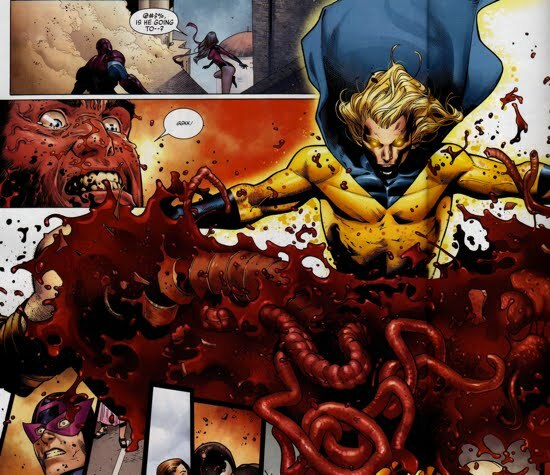 While leading the Avengers, he squashed a potential Atlantean attack by sending The Sentry to kill them. 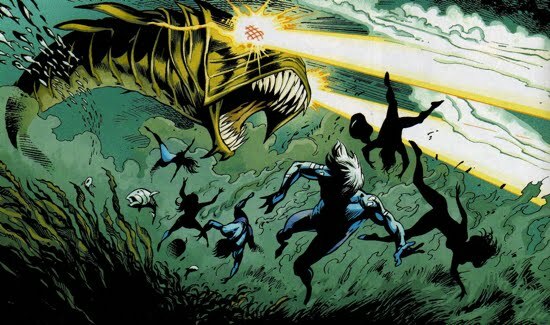 It took The Sentry minutes to eradicate the Atlanteans and he killed all but one. The remaining survivor was fed to Venom. 3. 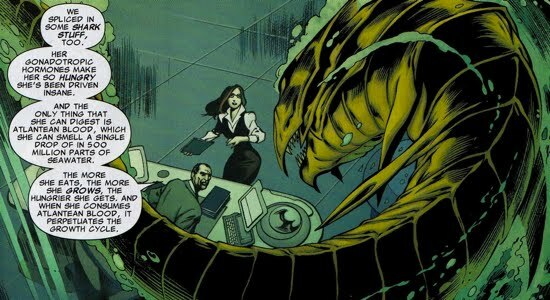 Norman sent Marrina (a half human half Plodex hybrid), which resembled a prehistoric fish, after innocent Atlanteans in order to piss off Prince Namor. It worked! 4. 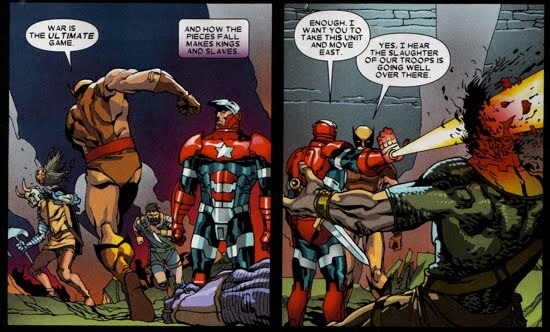 During Norman's second Dark Reign, he out maneuvered the true Avengers and beat them to the punch (pun intended) squashing an Atlantean attack. 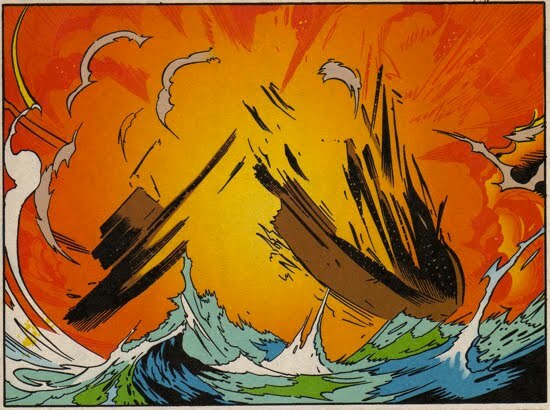 It is not clear whether Norman orchestrated the Atlantean attack or whether he was just opportunistic...one thing is clear though, Atlanteans died! Additional Comments: After showing up out-of-the-blue to visit her daughter, Melissa Gold's mother was killed after operating a vehicle under the influence. Her mother was an alcoholic, she was last seen with Norman before she died, and Norman and Melissa were being antagonizing each other at this time...you do the math! 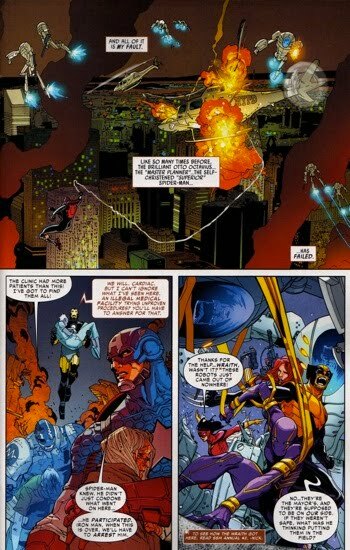 Additional Comments: Since it is unclear just how much of this killing spree was prompted by the telekines who had taken over Thunderbolts Mountain, this entry must contain a footnote that Norman was technically not fully control of his faculties at this point. 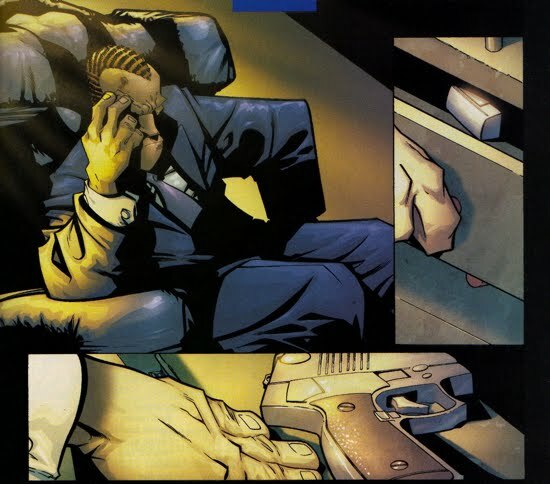 Later, Doc Samson pleaded with the President to remove Osborn from power during his Dark Reign and Samson cited that Osborn killed 'dozens' of people at Thunderbolts Mountain that day. Additional Comments: These are the kills that made Norman famous! 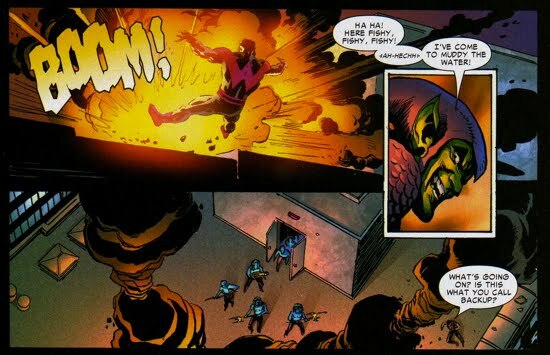 Starting with infamous Skrull Invasion, Norman slayed a countless number of Skrull enemies...including the Skrull Spider-Men! 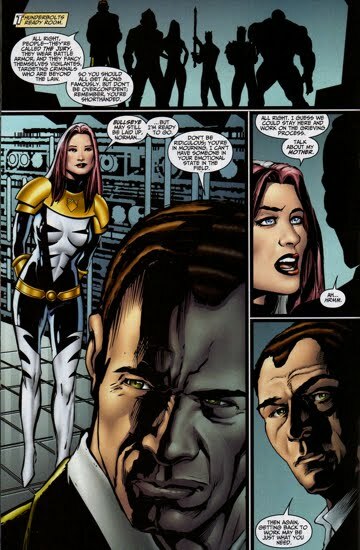 Norman also killed the leader of the Skrull invasion, Queen Veranke. 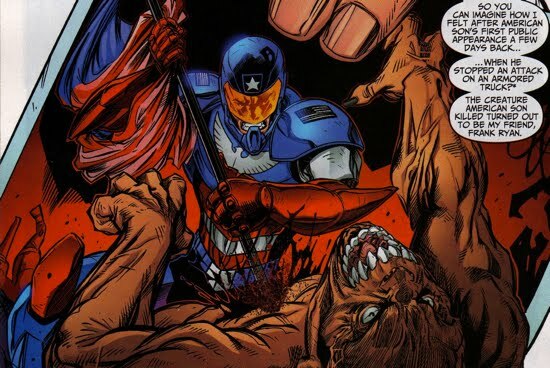 That very public kill led to Norman's promotion atop the Avengers ranks. 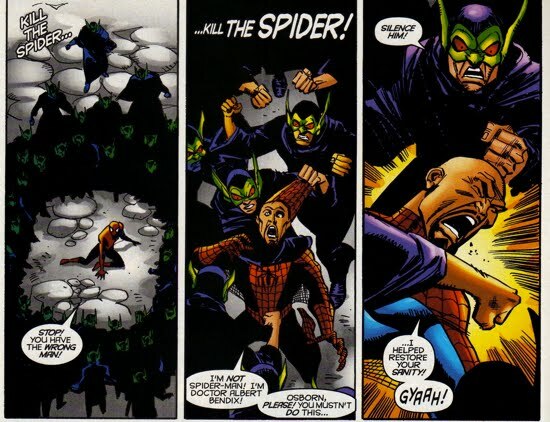 After the war, the killing of Skrulls did not stop. 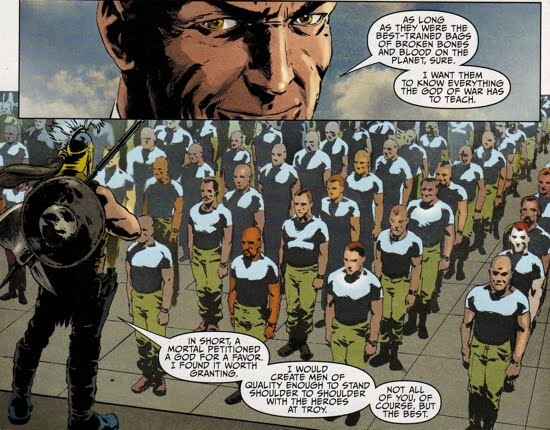 Norman used Skrulls as prisoners of war and tortured them for various bits of information. Needless to say his tactics were ruthless. 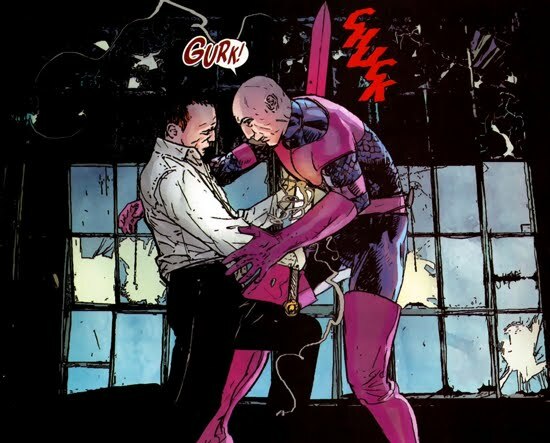 Additional Comments: Norman first met The Swordsman whilst leading The Thunderbolts and immediately he became aware of Andreas' unhealthy obsession with his twin sister. 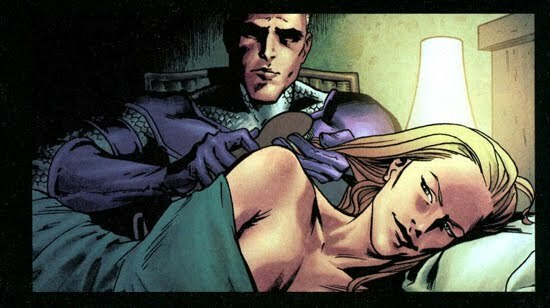 During the Skrull Invasion, Norman gave Moonstone the 'go-ahead' to kill Andrea, who had curiously just returned from the dead. 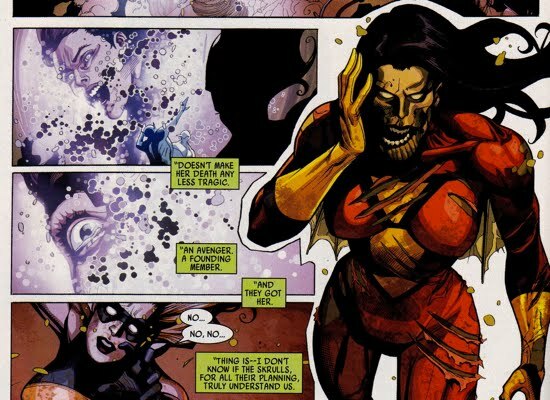 All signs pointed to her being Skrull and Norman wanted her dead either way. 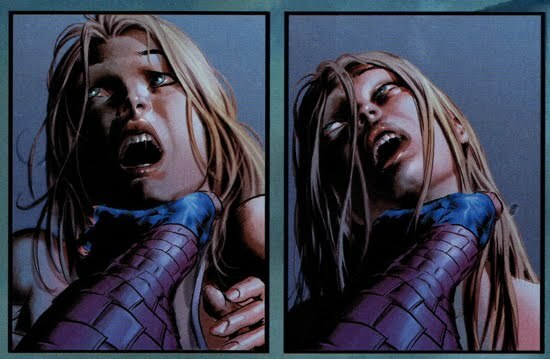 After Bullseye killed Andrea, and she turned out to not be a Skrull, Norman delivered the bad news...except he told Swordsman that the Skrulls killed her. 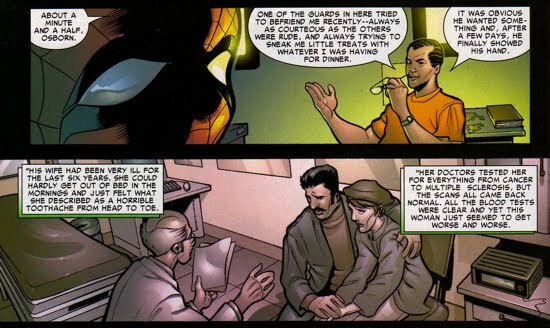 Andreas never did find out what really happened with his sister, but when he confronted Osborn about being removed from The Thunderbolts roster Norman...silenced him. 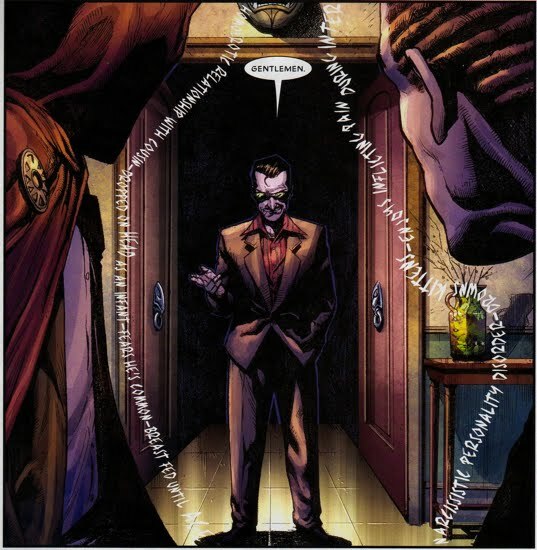 Additional Comments: As part of very convoluted plot with multiple layers of double-crossing, Rick Mason (son of the Terrible Tinkerer) caught up with Michael Rossi in Rio de Janerio with the aid of Norman Osborn. 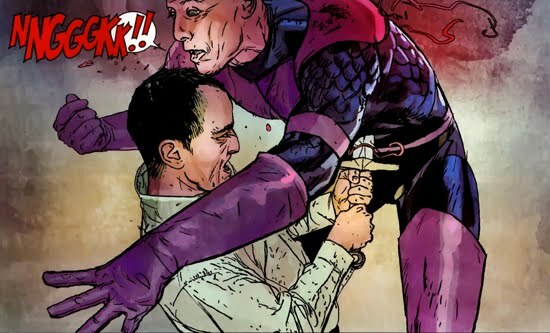 Rossi, who had been working for Norman, was double-crossed as Osborn allowed Mason to get vengeance. 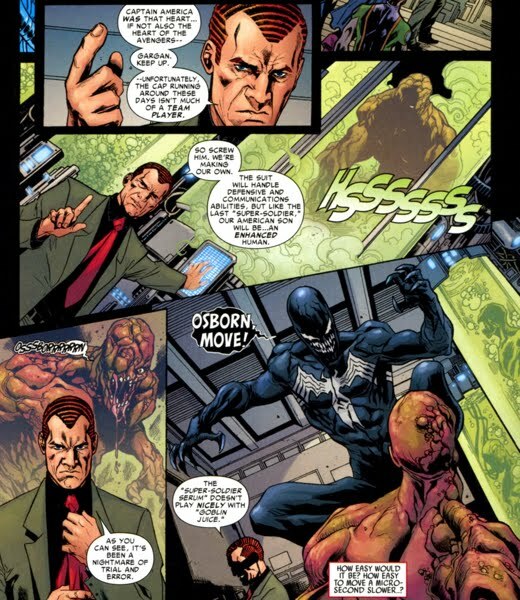 Mason was never able to retaliate against Osborn though. 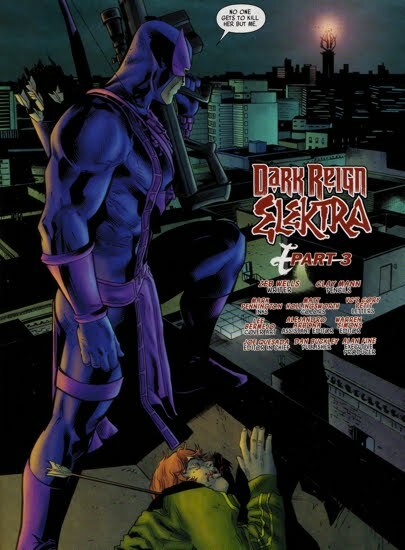 Additional Comments: While searching for Elektra, who recently escaped H.A.M.M.E.R. 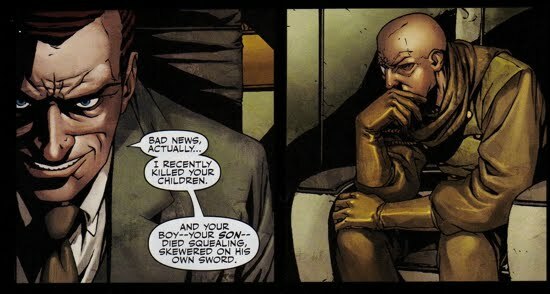 custody, Norman indirectly allowed the deaths of three S.H.I.E.L.D. agents. 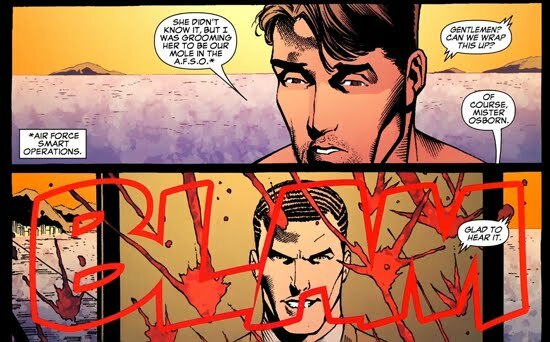 The first, Agent Carmine, was killed by Bullseye who was tracking Elektra. 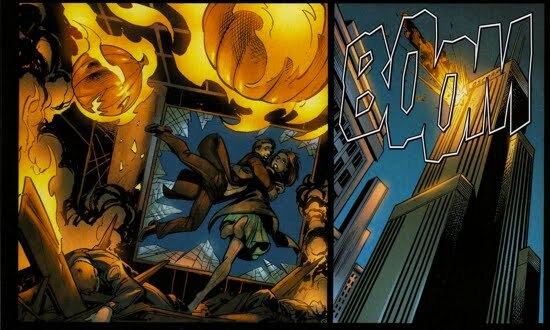 The second was Agent Brothers, who was kill by Elektra (as Osborn watched in the background). 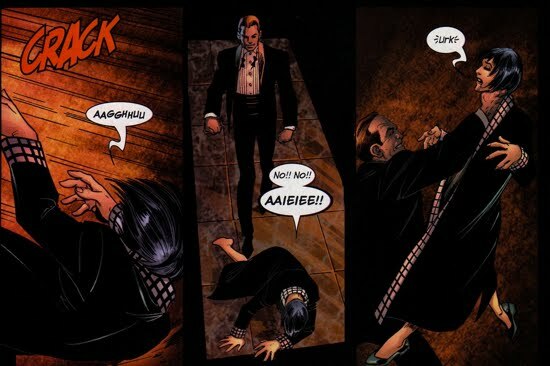 The third was Agent Nico, also killed by Elektra, again while Osborn watched. Additional Comments: Mr. Livingston met his end as a pawn in a plot by Osborn. Long story short, the Grim Reaper needs to kill every 24 hours to prevent a voodoo curse from killing him. 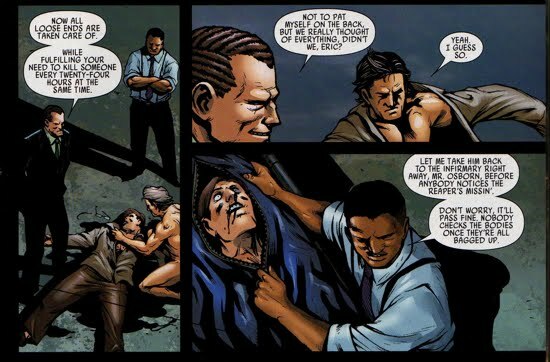 Osborn helped him accomplish this by putting Livingston in his path, the murder of Livingston allowed Osborn's plan to work flawlessly. 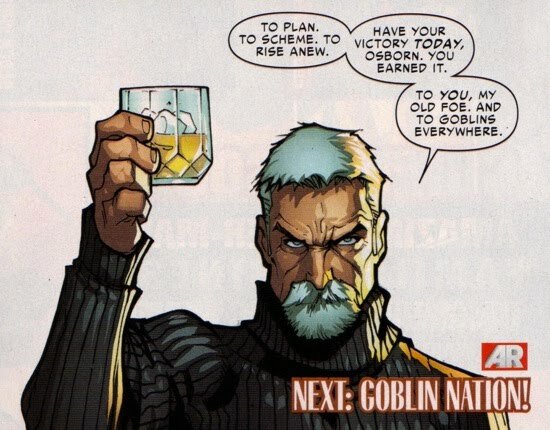 Additional Comments: When Norman had the bright idea to create a superhero sidekick/martyr (aka the American Son), he needed some human guinea pigs to perfect his Goblin Formula/Super Soldier Serum hybrid. One of those, was Agent Ryan, who was eventually killed by Gabriel Stacy who had taken up the mantle of the American Son. Additional Comments: This one is a little goofy, but still included for completeness sake. 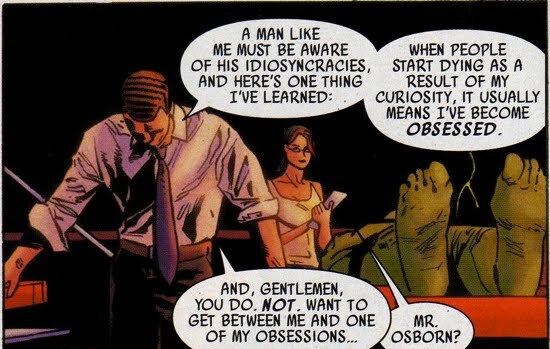 When the mysterious man known as the Profile found himself in Osborn's company, he couldn't help but profile the Avengers leader. 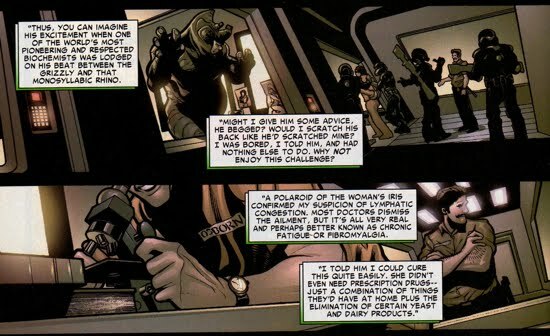 His profiling (outlined around Osborn in the panel below) read as follows for Norman: 'narcissistic personality disorder, drowns kittens, enjoys inflicting pain during inter...' They all seem to be in line with Norman's character, so we can conclude that Norman drowns kittens too. 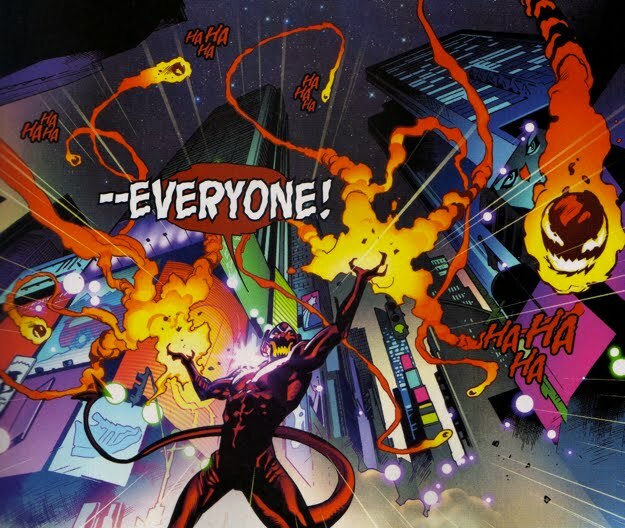 Additional Comments: When Osborn and his Thunderbolt team abducted Danny Rand (aka Iron Fist), he ordered the murder of various eye-witnesses to the abduction. Once again, an exact head count is unknown. 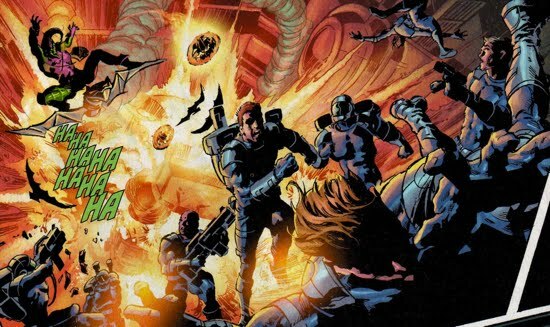 Additional Comments: Osborn charged Ares with the task of training a group of his H.A.M.M.E.R. and converting them into lethal warriors and teach them 'everything the God of War has to teach'. 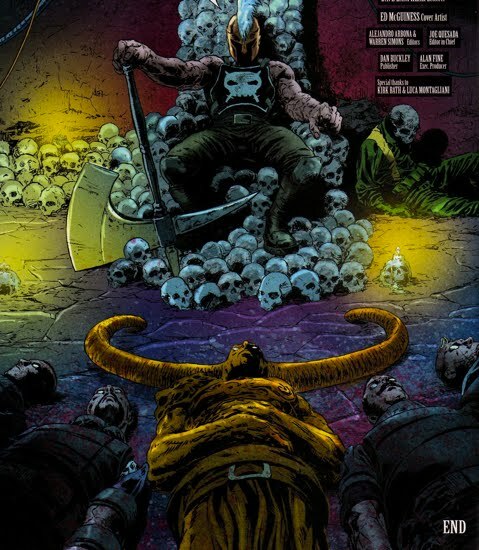 Well, Ares did that and they all perished. Should Norman be held accountable for that? Of course, he did lend them to a God of War, what did he think would happen? Additional Comments: Whilst Norman was making his List (and checking it twice! 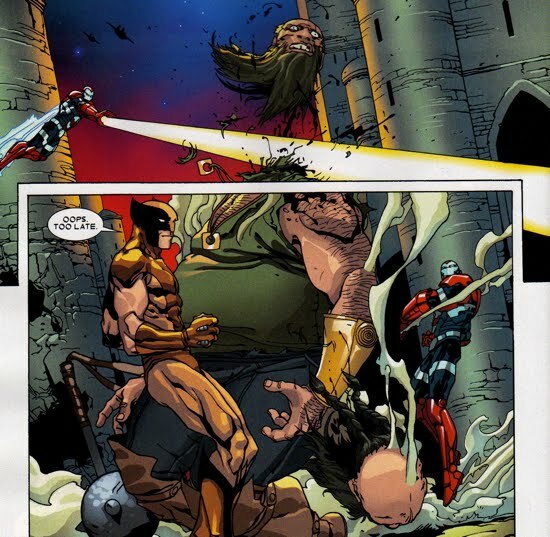 ), he sent Daken out to neutralize the vigilante who had proven to be a thorn in Osborn's side. 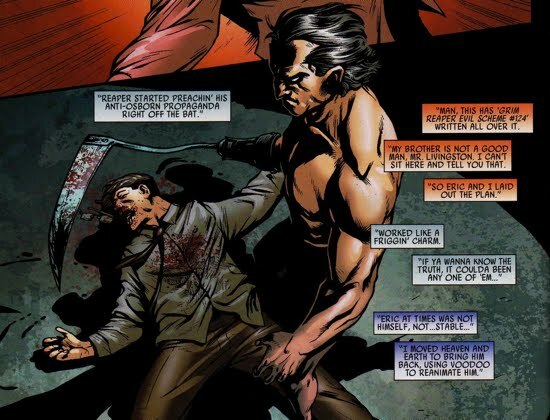 Daken sliced him up real good, and even though The Punisher eventually returned to the living world, he was as dead as anyone can be for a while. 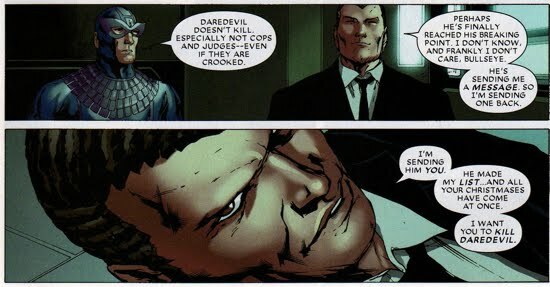 Additional Comments: When Norman charged Bullseye with the task of hunting down and killing the Daredevil, hundreds of innocent civilians were killed. 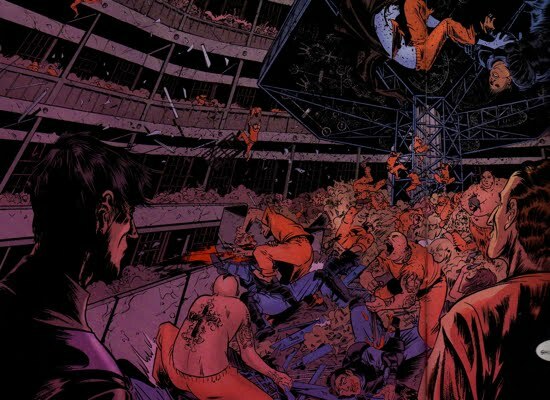 Bullseye rigged a building filled with explosives and forced Daredevil to watch their slaughter. 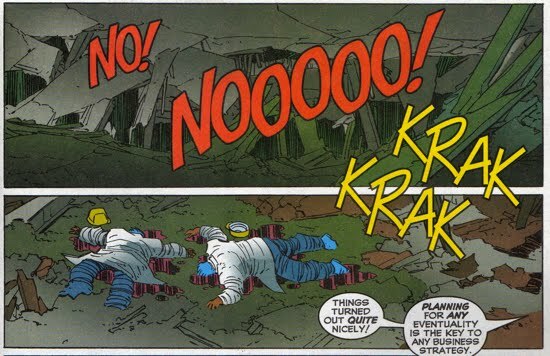 It should also be noted that these innocent civilians were protesting Oscorp's potential-demolition of their homes. 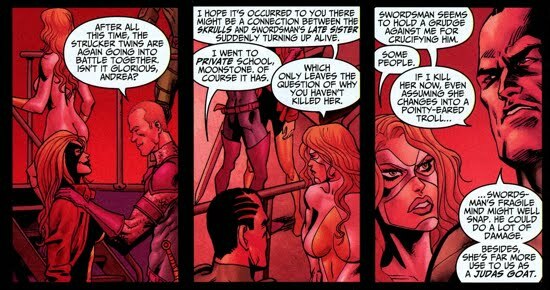 Additional Comments: As shown in panels below, Norman commanded Bullseye to kill The Sentry's wife Lindy. 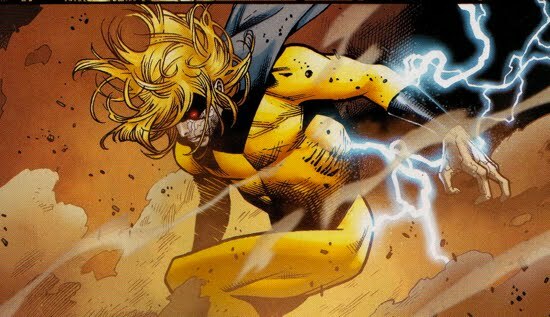 Norman wanted to unleash The Sentry's fury as the Void and having his wife killed, Norman thought, should do the trick...he was right. 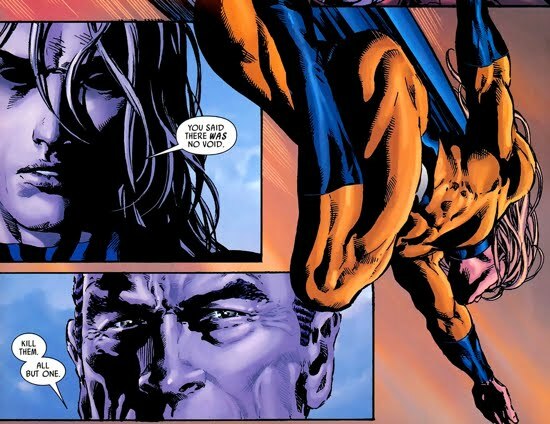 Of course Bullseye lied to The Sentry and told him that Lindy committed suicide. 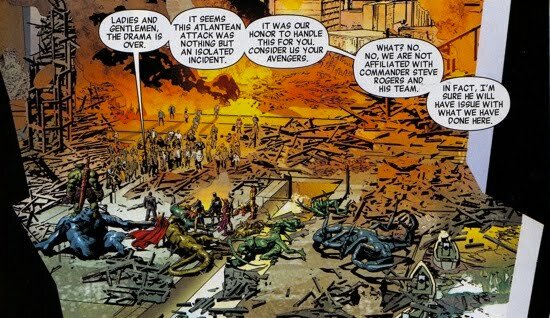 Additional Comments: Norman, whilst under the influence of Loki, manipulated Volstagg into a confrontation with the U-Foes that ended with the annihilation of Soldier Field and all the spectators therein. This eventually led to the Siege on Asgard and Norman's eventual downfall. 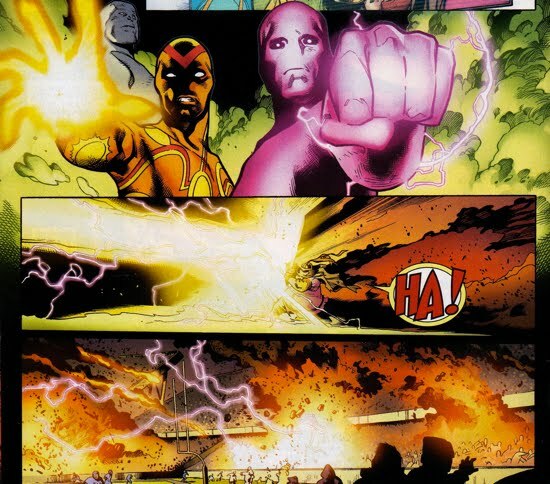 Additional Comments: As seen in the panels below, Norman killed countless Asgardians during his attack on their homeland. 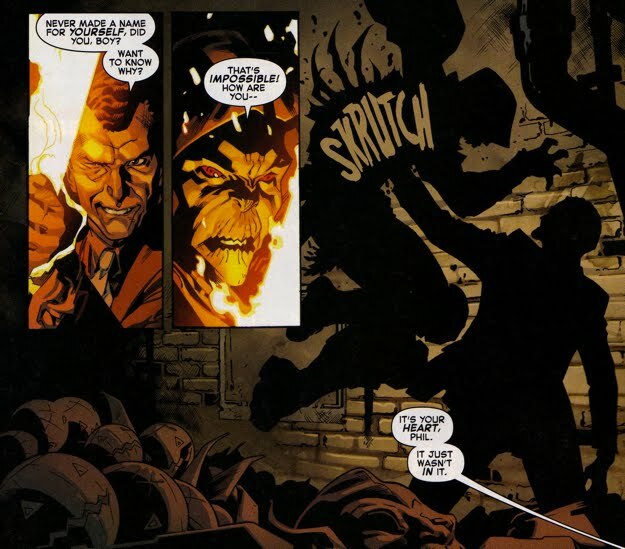 Additional Comments: Despite being one of Norman's Avengers, Ares turned on Osborn after he realized that Norman brought him into war under false pretenses. 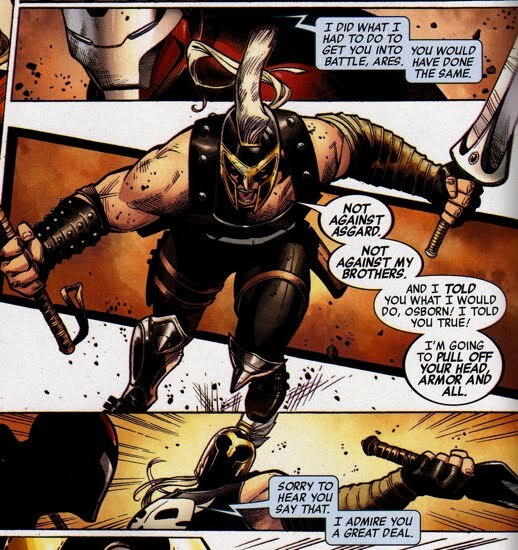 But Ares did not get a chance to kill Osborn because The Sentry intervened...and rippped Ares in half! 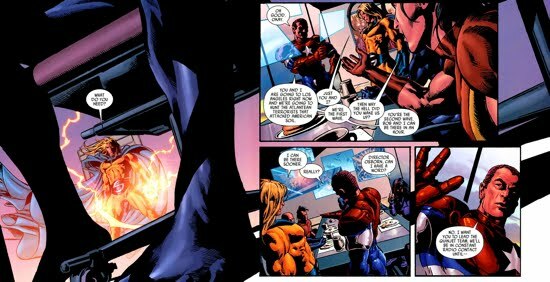 Additional Comments: Osborn used The Sentry like a pawn and unleashed the Void side of his personality during the Seige on Asgard. 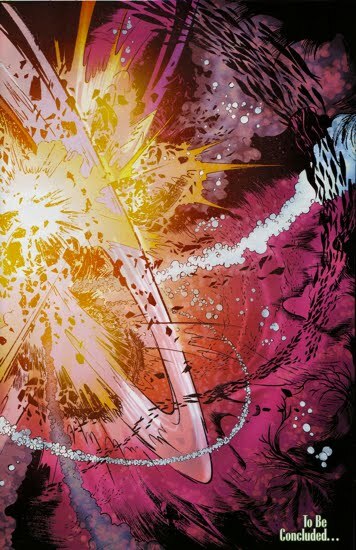 The Sentry/Void entity was eventually defeated by Loki, having second thoughts about his plot against Asgard, who used the magical Norn Stones to neutralize him. 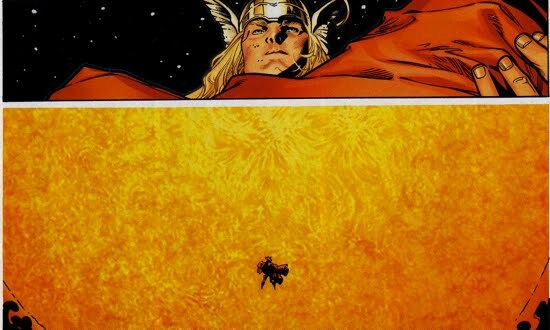 The Sentry's deceased corpse was then 'cremated' when Thor brought it to the sun. 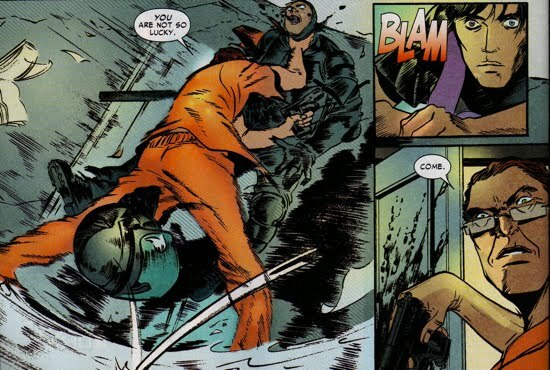 Additional Comments: During his escape from the S.C.C., Norman killed a handful of security forces with his own hands. He then manipulated a phoney priest (who was a Goblin Cult loyalist) as well as Senator Muffoletto into having the S.C.C. destroyed just after he escaped with his crew. Once again, a total head count is unknown. 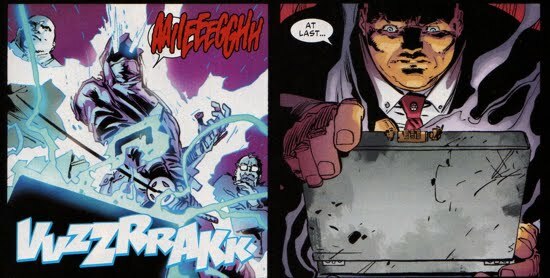 Additional Comments: This counts as a direct kill if you assume that Osborn was the one who booby-trapped the briefcase that contained the infamous Goblin Key. 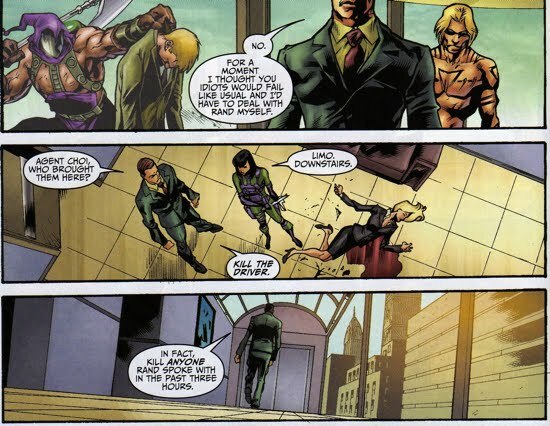 That seems like the most obvious conclusion since Osborn also booby-trapped the hideout that the key accessed. 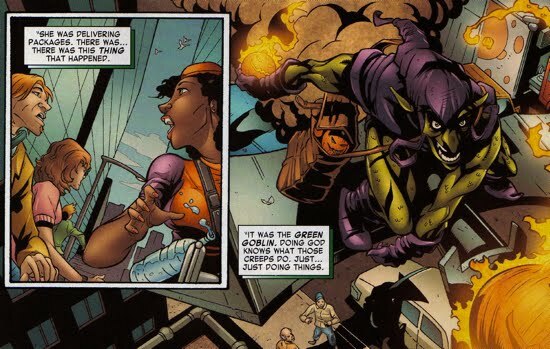 Additional Comments: As a test for Monster (aka Goblinized Carlie Cooper), the Green Goblin sent her into the field to prove she's a loyal member of the Goblin Nation. Carlie did not kill the stooge, but she certainly put a good hurting on the fellow. 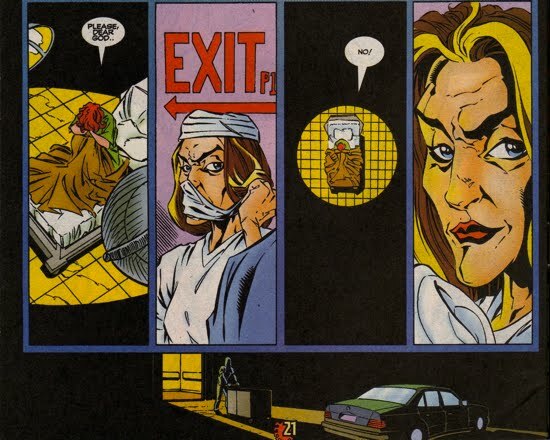 In an attempt to 'tie up loose ends' Phil Urich killed the injured victim. Its not clear that Osborn definitively gave the word, but he certainly would have approved. 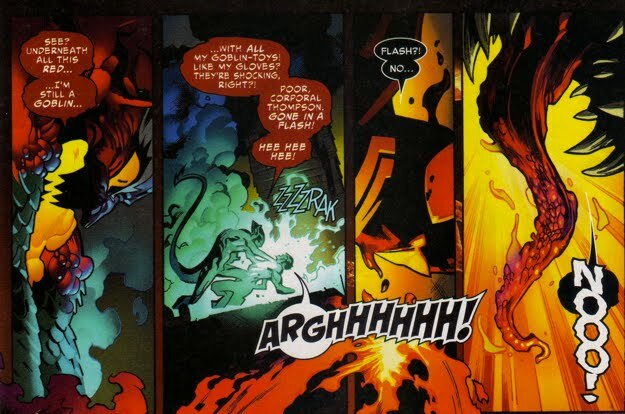 This is an indirect kill in every sense of the term, but since Osborn sent Monster into the field (which started this), he does get the credit for the death of this wannabe bad guy. Additional Comments: Roderick Kingsley pulled a classic Hobgoblin ploy by placing a brainwashed stooge as a surrogate in the field. 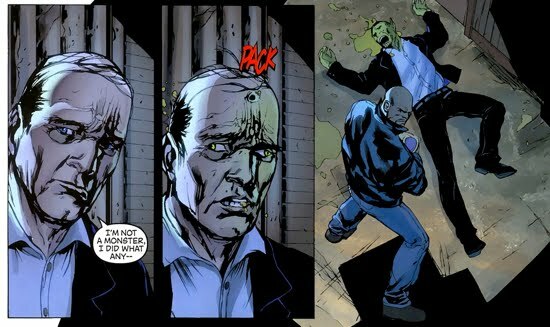 Norman killed the imposter as a show of strength, but was convinced he had killed Roderick Kingsley. 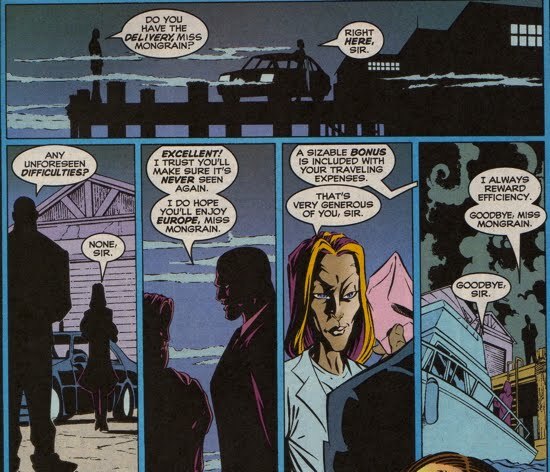 Phil Urich got the rid of the body, so its unclear as to whether or not Norman knows he did not kill Roderick. Additional Comments: We'll classify this kill as indirect because Norman was trying to kill SpOck, in fact he had given up on Lamaze as a viable victim (because it didn't create a big enough emotional response from Otto). 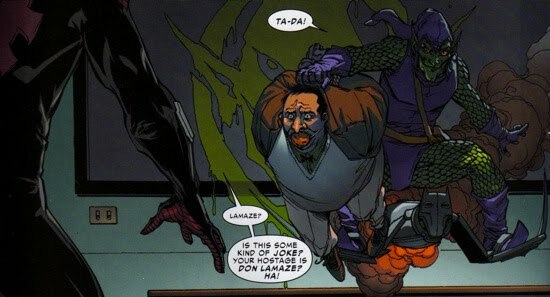 Lamaze was Otto's former classmate and professor when he took over Peter Parker's body/mind. Lamaze died when he threw himself in front of SpOck's spider-tentacles (which had malfunctioned due to the Goblin), impaling him in the process. Additional Comments: This is a tough one because there is not direct evidence that people died (other than the lights inside the various buildings having been on). But there must be some fatal casualties, so the event made the list. 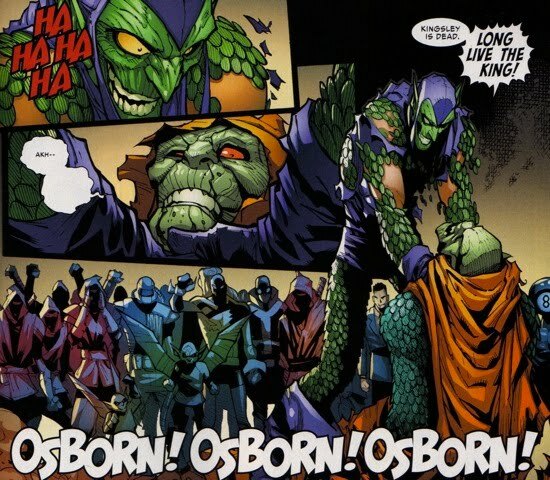 This occurred in the midst of Osborn's Goblin Nation during his personal attack on Otto's history. 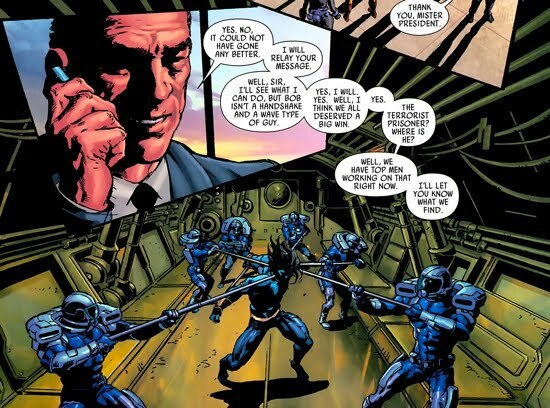 Additional Comments: These are some of the more ironic deaths on this list, because these two operatives are the ones that brought the Carnage symbiote to Osborn. 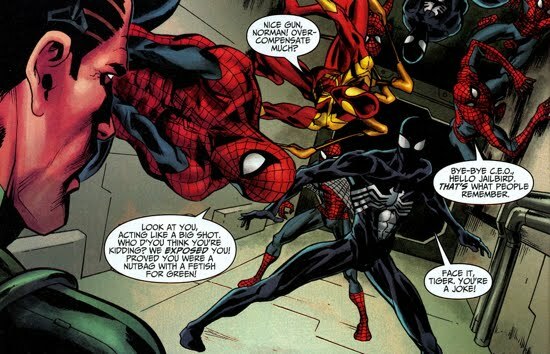 Unfortunately for them, they were his first kills with the symbiote and the proof-of-concept that he and Carnage could work together. 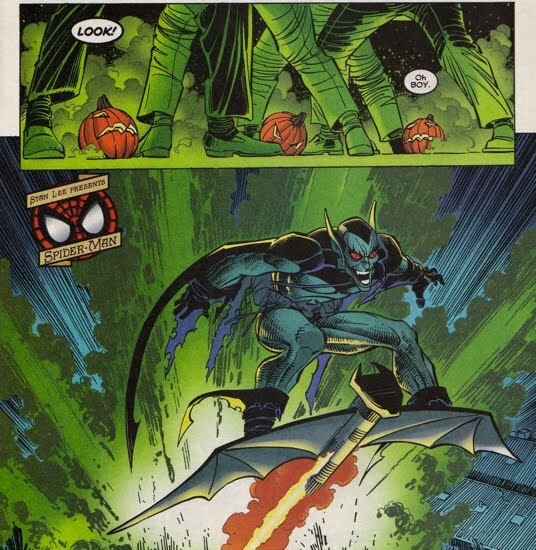 Additional Comments: For Phil Urich, his death at the hands of the original Green Goblin was a long time coming. 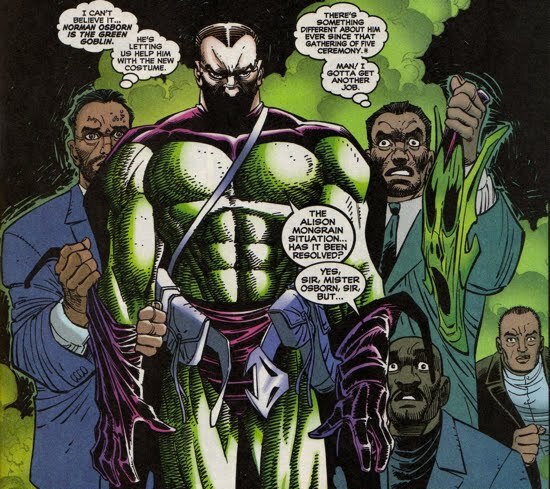 For one, his uncle led the charge to expose Norman Osborn's alter ego. 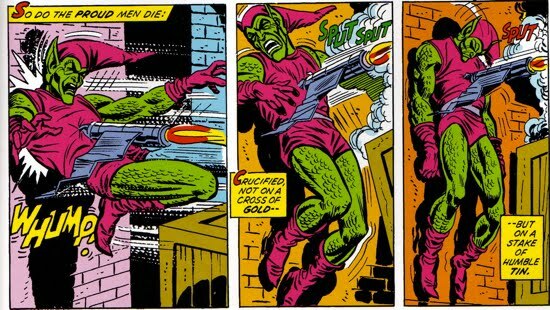 Secondly, he stumbled upon a Goblin Hideout and became a heroic Green Goblin (can't imagine Norman was happy about that either). Not to mention their beef during the Goblin Nation story. 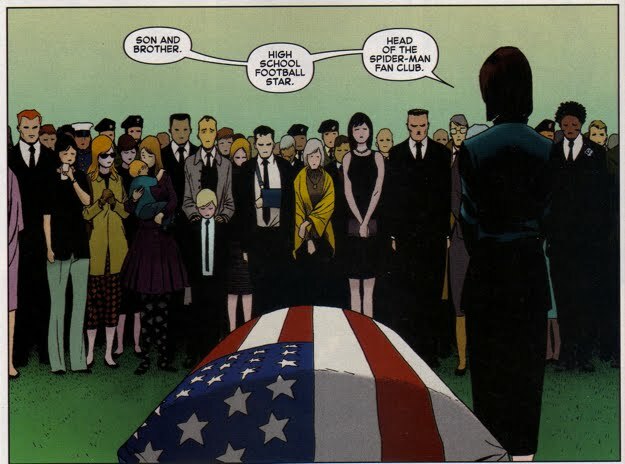 So suffice to say when the opportunity to end Phil's life was presented to Norman...he took it. Additional Comments: Another tough one to get an official number of deaths (if any). Similar to prior examples, there is not direct evidence that people died. 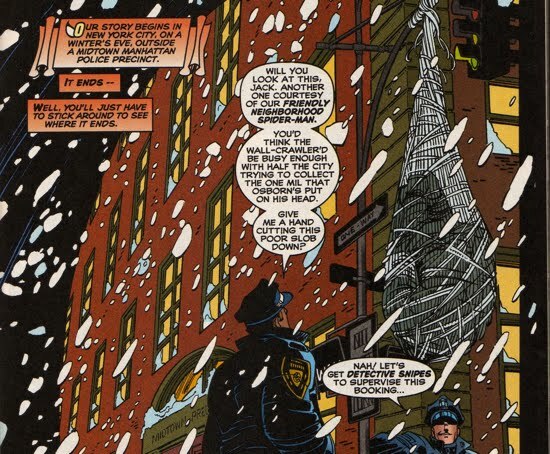 But when Norman orchestrated the bombing of the Daily Bugle, people lives were certainly put in jeopardy, both inside the building and the ground below. 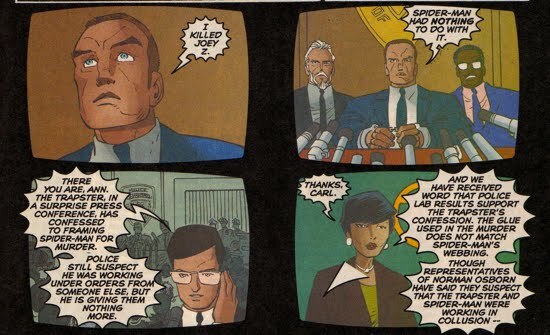 Joe Robertson and Betty Brant did a great job evacuating the employees, so its possible lives were spared, but its worth keeping on the list just in case they didn't have 100% efficiency. 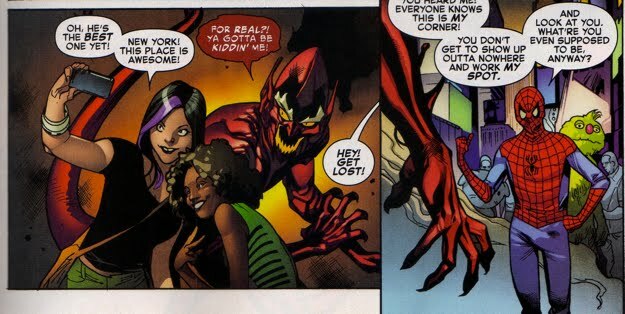 Additional Comments: Norman and Flash have a history together, but that history came to an abrupt end when Osborn was the Red Goblin. 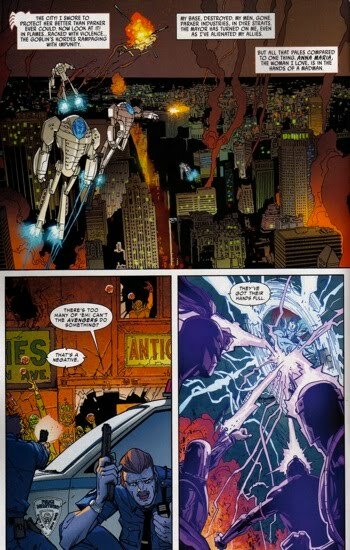 Flash heroically save Peter and all his friends and loved one using the Anti-Venom symbiote. 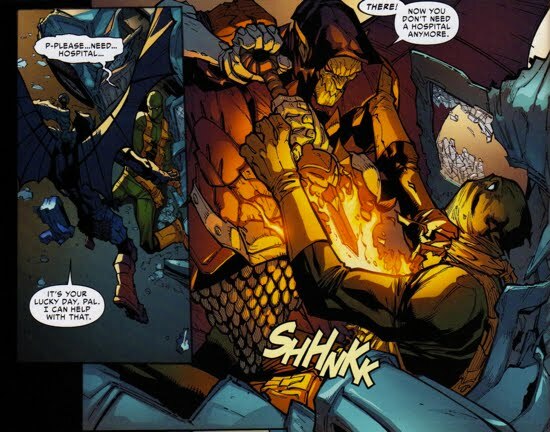 But that action ultimately led to Flash sacrificing his own life when the Red Goblin attacked him. 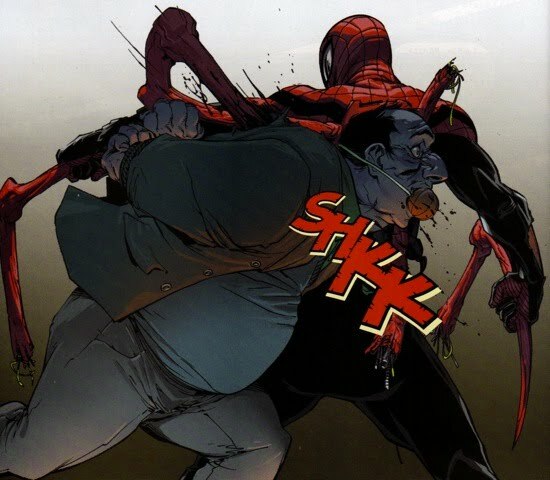 Flash died a hero and enabled Spider-Man to defeat the Red Goblin. Additional Comments: Not much to say here other than it is not recommended to bust Norman's chops whilst dressed as Spider-Man. This poor soul found that lesson out the hard way. Additional Comments: Another tough one to get an official number of deaths (if any). Similar to prior examples, there is not direct evidence that people died (other than the lights inside the various buildings having been on). 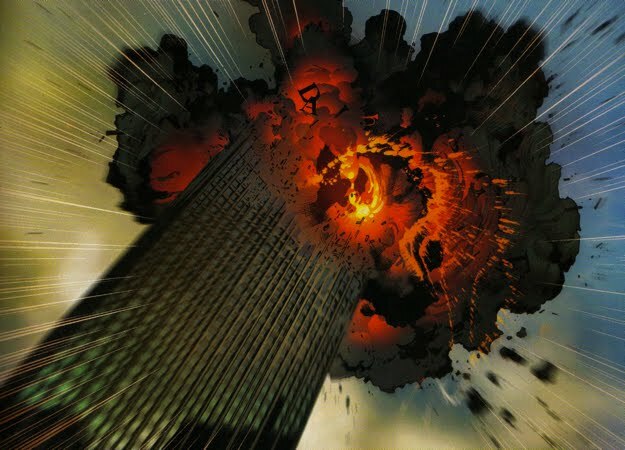 Then again, Norman did unleash a slew of Carnage bombs, so there's a good chance someone met their end. Additional Comments: Talk about a love/hate relationship. Norman tried to kill Stromm twice and he also allied himself with Stromm twice. Oh yeah, and none of this includes the fact that Norman had Stromm placed in jail for 10 years either. The first incident involved Norman trying to snipe Stromm out, the shot did not reach Stromm, but it did induce a heart attack that 'killed' him. 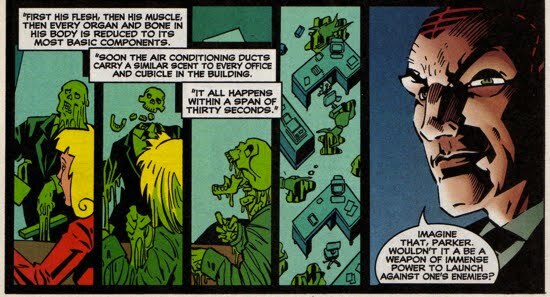 Later, Norman deduced that since Stromm had beta-tested an early version of the Goblin Formula on himself, that Stromm may never had died of the heart attack. Norman was right! 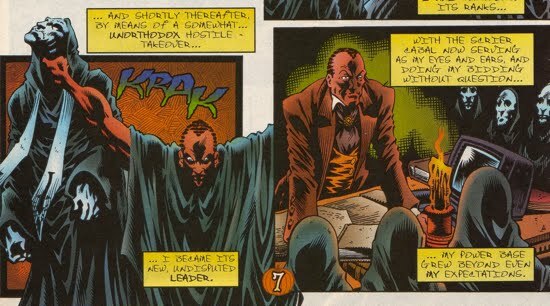 And he successfully resurrected Stromm and converted him to the villain Gaunt. 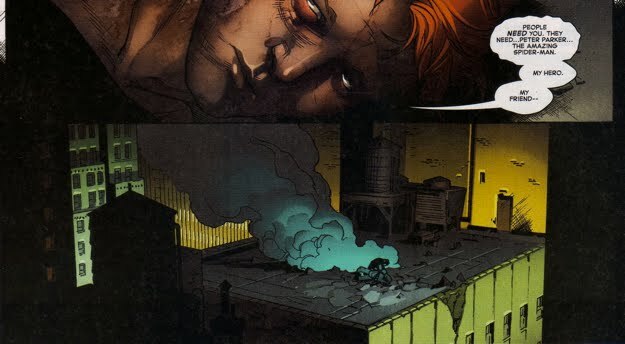 As it turns out, Norman didn't kill him that day either, and an amnesiac Stromm eventually resurfaced a few years later. 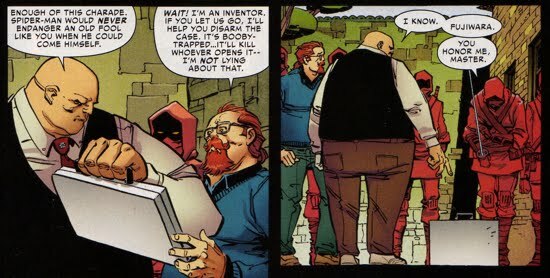 Then, when Norman was working as the Thunderbolts director, he crossed paths with Stromm and had him placed in protective custody...how nice! Additional Comments: How does this one work? Well, if someone has a cure for cancer and they don't share it with the public then, technically, they are killing people. Since this one is a little unfounded I left it off the main list...but still should count for something. 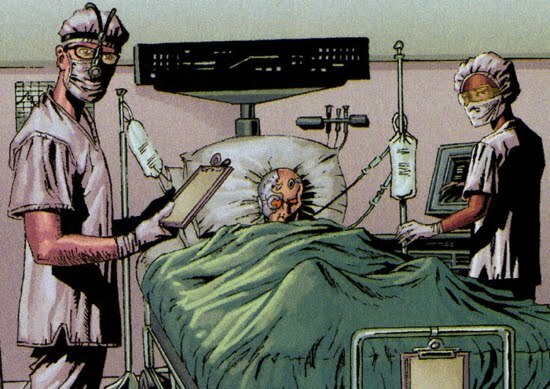 For the record, he developed this 'cancer cure' to deal with Deadpool.